Victor Chirila President of Foreign Policy Association of Moldova: Why Moldova fails? According to the EU, the main challenges of Moldova are the excessive politicization of state institutions, systemic corruption, concentration of media ownership, lack of judiciary independence, the financial sector governance and insufficient investigation into the banking fraud. While recognizing the EU’s objective assessment, we argue that the foregoing challenges are the reflection and, at the same time, the consequences of Moldova’s failure to build a strong, coherent and effective state able to promote intensive/sustainable economic growth, enforce rule of law, while being accountable to the society. A quarter of a century ago, right after declaring its independence, Moldova has embarked on a challenging and crucial path for its future survival and development, to build a state, a nation, a democracy, and a sustainable market economy, all of them from scratch. 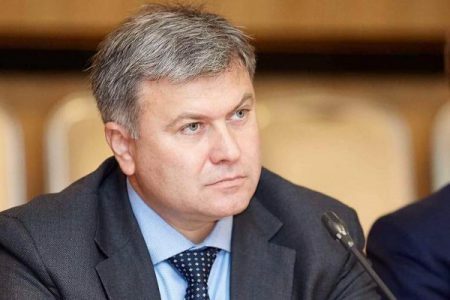 The United States of America (US), the European Union (EU) and the International Financial Institutions (IMF and World Bank), have provided Moldova with considerable technical and financial assistance meant to assist Moldova in its transition towards democracy, rule of law and market economy. This assistance has helped Moldova to develop legal frameworks and build up institutions that are essential for every modern democracy and market economy. Nonetheless, Moldova is still a partly free democracy; it remains one of the poorest and most corrupted European states; its economy is stifled by wide-spread corruption, and consolidation of economic interests in the hands of one oligarchic group; the rule of law is rotten by systemic corruption and lack of judiciary independence; and the democratic accountability is impeded by politicization of public institutions, cronyism and weak civil society. In the view of the EU, in order to overcome those challenges, “[F]urther reform efforts are needed to improve the rule law and the business environment, which is still affected by endemic corruption, as well as inconsistent policymaking”, as well as “Strong implementation measures are needed in order to deliver tangible results for the population”. The foregoing recommendations are obvious, yet they are not new at all. The EU keeps reiterating them in all its monitoring reports on Moldova, ever since the latter joined the European Neighborhood Policy and Eastern Partnership. Despite that, Moldovan authorities have failed to produce a reform breakthrough, while implementation of approved laws, strategies and policies remains a significant challenge. Unfortunately, the reform stalemate is to remain unaffected as long as Moldova fails to build a strong and effective state, which has undeniable monopoly on legitimate force essential for maintaining peace, providing security to its citizens and enforcing laws on its territory. Building an effective state is Moldova’s utmost challenge that will shape its future. During the last 25 years, Moldova managed to build necessary institutional trappings that define it as a state: police, army, ministries, legislation, etc., nevertheless, despite all of that the state fails to deliver on its major promises of democracy, prosperity and European integration. Moldovans are putting the blaming for this impotence on the corrupted politician or on the geopolitical competition between Russia and the West. In reality, the problem is the state itself. The truth is that an effective state is not based only on police, army and bureaucracy, it also needs to have the monopoly on legitimate force indispensable for enforcing laws and policies on its territory; a united nation; an impersonal bureaucracy; and an unquestionable legitimacy. Any effective state has to have unquestionable monopoly on legitimate force. Republic of Moldova has lost its monopoly on legitimate force over its territory from the onset of its independence. Around 15 percent of its population and 12 percent of its territory is controlled by the Transnistrian separatist administration, which managed to build a de-facto state on the left bank of Dniester River, which has its own police, army, bureaucracy, ministries, and legislation. Moreover, unlike Moldova, Transnistrian de-facto state managed to create a sense of common regional identity among its main ethnic groups. 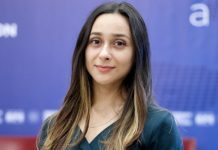 Majority of Moldovans/Romanians, Russians and Ukrainians living in the region see themselves as being part of Russian World and wish to become part of the Eurasian Union led by Russia. The mere existence of the Transnistrian de-facto state limits the sovereignty of the Moldovan state, encourages the Russian speaking minorities living on its territory to challenge their authority and key national policies, and derails any Moldova’s attempts to create a united civic nation on the right bank of Dniester River. Hence Moldova cannot enforce directly DCFTA agreement signed with the EU on its territory controlled by the Transnistrian separatists. And the absolute majority of Gagauz minority voted for closer relations with the CIS and Customs Union, and rejected closer integration with the EU in a referendum organized illegally in the Gagauz autonomy in February 2014. It also voted overwhelmingly in favor of Gagauzia’s right to declare its independence, if Moldova would join the EU. National building is considered to be a decisive factor for a successful state building. Yet, after 25 of independence, Moldova remains a state without a nation. It has failed to create a sense of common national identity that would have united its main ethnic groups. Unfortunately, Moldovans/Romanians, its main ethnic group, have missed the opportunity to become the national core of a united civic nation. 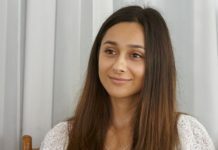 Instead of leading the process of nation building it has got muddled in the endless disputes about Moldovans’ true national identity, language and history. As a result, the society is torn apart by multiple fractures, between Moldovans and Romanians; between Moldovans/Romanians and Russian speaking minorities; between pro-unionist (with Romania) and pro-statehood supporters; between pro-Russians and pro-Europeans. Obviously, the loyalty of Moldovan citizens toward their state is very weak. Some are rather loyal to Russia, Ukraine, or Romania than to Moldova itself. And many other continue to live with nostalgia after the deceased Soviet Union. Consequently, without being backed by a united nation, Moldovan state is incapable to forge societal consensus on crucial policies such as the reintegration of Transnistrian region, European Integration, Moldova’s relations with Russia and Romania. According to Francis Fukuyama, “If the state did not control the richest and most powerful elites in society, the latter would appropriate and misuse the political system at everyone else’s expense”. Moldovan state is a glaring example of this reality. The most richest and unscrupulous group(s) have infiltrated all major state institutions and are manipulating them to enrich themselves and protect their interests, property and status. And, this is a clear failure of Moldovan state to build an impersonal and efficient national bureaucracy loyal only to the state, and which would have used the state’s judicial and enforcement power to make elites to respect the rules compulsory for every member of the society. 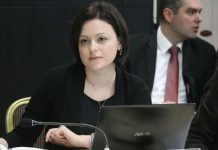 Cronyism, nepotism, politicization and corruption are de-professionalizing Moldovan bureaucracy, destroying its loyalty to the state and replacing the later with loyalties to political parties, political leaders, oligarchic groups, family, ethnicities, etc.., all of the them specific to weak states. The political stability and credibility of any state are strengthened significantly if people feel that it is legitimate. Moldova is not an exception from this rule. Looking to underpin the legitimacy of the Republic of Moldova, its politicians are appealing desperately to history, trying to portray it as a continuation of the Moldovan medieval statehood. In reality, the legitimacy of the current Moldovan state depends not on historical myths, but, above all, on its ability to provide prosperity and security to its citizens, as well as on its success to build a nation state guided by rule of law and democratic accountability. Unfortunately, Moldovan state is failing on all aforementioned accounts. Moldova is one of the poorest European states. Over 600 thousand of its citizens immigrated in other countries and other 40 percent are living below the regional poverty threshold of $5 per day. And the efforts to build a multi ethnic and multi cultural civic nation, by negating/denying the Romanian identity of Moldovans, have been doomed from the onset. The security of Moldovan citizens is at the mercy of corrupted and politically controlled judiciary and law enforcement institutions. The rule of law is rotten by pervasive corruption and lack of the judiciary independence. And democratic accountability is killed by the increased politicization of the state institutions and their capture by the oligarchic interests. The state is a key and indispensible dimension of the modern development paradigm alongside with the rule of law, democracy, intensive economic growth, social mobilization and legitimacy. Between foregoing dimensions multiple combinations may exist, which means that in the contemporary world there are various potential paths towards modernization. For instance, China has intensive economic growth but no rule of law and no democracy; South Korea has had intensive economic growth before building democracy; Singapore has rule of law and a sustainable economic development but a limited democracy; India has developed rule of law and democracy before having intensive economic growth; Central European countries developed rule of law, built democratic accountability as prerequisites for intensive economic growth. Yet, in each forgoing case, the state – the institution that holds monopoly on legitimate force – has played a major role in promoting economic development. Having a state is a vital precondition for intensive economic growth, which in turn influence all other dimensions of modern development. The empiric data show, there is a clear correlation between strong/effective state and intensive economic development. At the same time, the poverty of many countries, not only in Africa, is caused, above all, by the fact that states are weak, unstable and unable to enforce laws, protect rule of law, maintain order and guaranty security to its citizens. By signing Association Agreement with the EU, Moldova has chosen the modernization path followed by the Central European countries. The focus is put on strengthening the rule of law and democratic accountability as a basis for a sustainable economic growth. 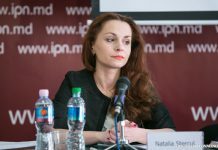 It is generally assumed that the rule of law and democratic accountability will in the end consolidate the Moldovan state itself as well. In the case of the Baltic countries, this approach has been largely successful, especially, due to the enlargement policies promoted by NATO and the EU. Through those policies, the forgoing countries were offered generous political, security, economic and financial support, crucial for their transition towards democracy, as well as for meeting the membership criteria of NATO and the EU. The security provided by NATO membership helped the Baltic States to overcome their internal weakness, as well as to cope with the external challenges to their domestic stability. As a result, they were able to focus more efficiently their resources and energies on implementing the essential market economy, democratic and rule of law reforms vital for encouraging a sustainable economic development and joining the EU. Regrettably, Moldovan state does not enjoy these fortunate circumstances. Its security is based on a deceptive permanent neutral status, which is violated by Russia, and does not entail any security commitments from the part of NATO and the EU. Its monopoly on the legitimate force over its territory is challenged by the Transnistrian separatism. It has failed to build a nation, it has failed to build prosperity and its legitimacy is weaker than ever before. It is obvious, that as long as the foregoing structural weaknesses remain unaddressed, Moldovan state will continue to fail on its key promises and responsibilities, and will never escape the vicious circle of its institutional and policy impotence. *This publication has been produced by the Foreign Policy Association with the support of the Black Sea Trust for Regional Cooperation, the German Marshall Fund of the United States. The opinions expressed are those of the authors and do not necessarily reflect the views of the Black Sea Trust for Regional Cooperation, the German Marshall Fund of the United States.